This post is sponsored by Luminess Air via Hawke Media. All opinions stated are my own. 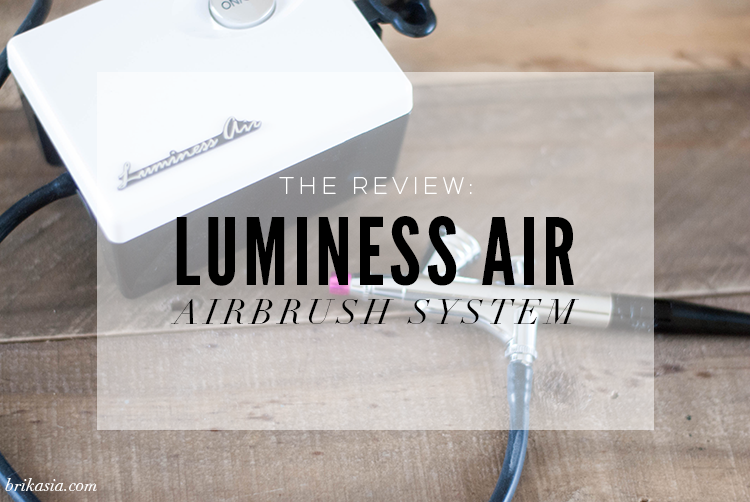 After being rejected for a bridal gig because I don't do airbrush makeup, Luminess Air reached out to me to see if I would like to try out and review an airbrush system. So, I found that little coincidence to be quite hilarious, and borderline serendipitous, you know? I've always been quite stubborn in regards to airbrush makeup- I just never really "got" it. So I was happy to have the chance to give airbrush makeup a fair chance. Luminess Air's claims are that it's easy to use and made for every day use. The makeup lasts for more than 10 hours, and is oil and fragrance free and is water-based. 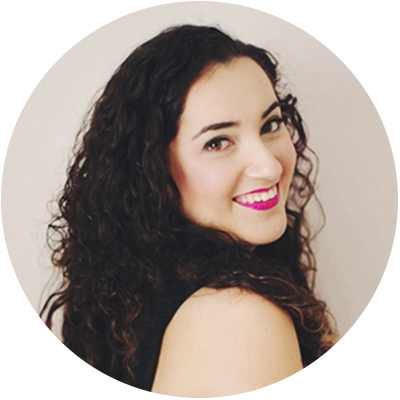 This makeup should minimize the appearance of pores, wrinkles, and fine lines for a more youthful look, and should blend easily into the skin. Luminess Air also says that their makeup reduces the appearance of blemishes, age spots, and redness. 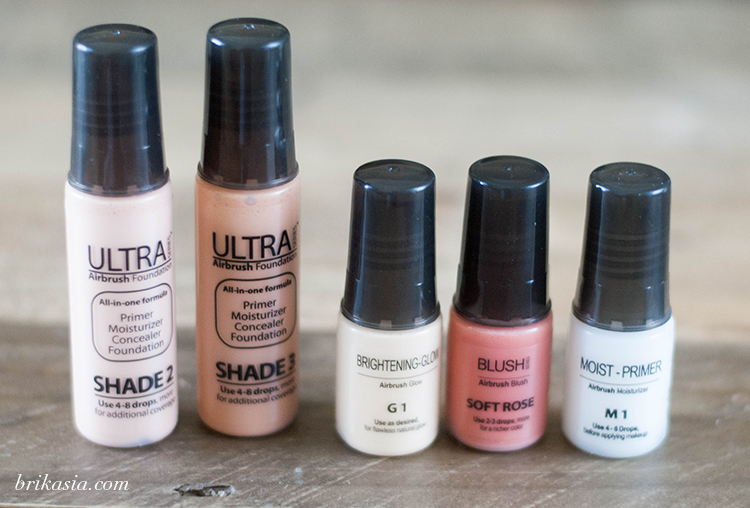 I received the white Luminess Air system, along with the Ultra Foundation in shades 2 and 3. I also received a moisturizer/primer, blush, and a luminizer. The foundation is supposed to be a primer, moisturizer, concealer, AND a foundation, but they also provide the extra moisturizer/primer. I opted not to use this as it made me skin looking all sorts of greasy. The Ultra Foundation is the perfect balance between a dewy/matte finish. I opted for this foundation because I'm not a fan of matte finish products, and I didn't want to look straight up dewy. This seemed like the perfect solution for me. After applying the foundation, I was left with the perfect demi-matte finish. I would hold the nozzle about 5 inches away from my face, and hold the lever back about halfway and move the nozzle around my face in circular motions. I had to use a combination of shades 2 and 3 to get the right match to my skin. I would do about 8 drops of shade 2 and 4 drops of shade 3 until the color was fairly close to my skin. Because I have a lot of acne and acne scarring to cover, I did about 3 layers of foundation until I was content. 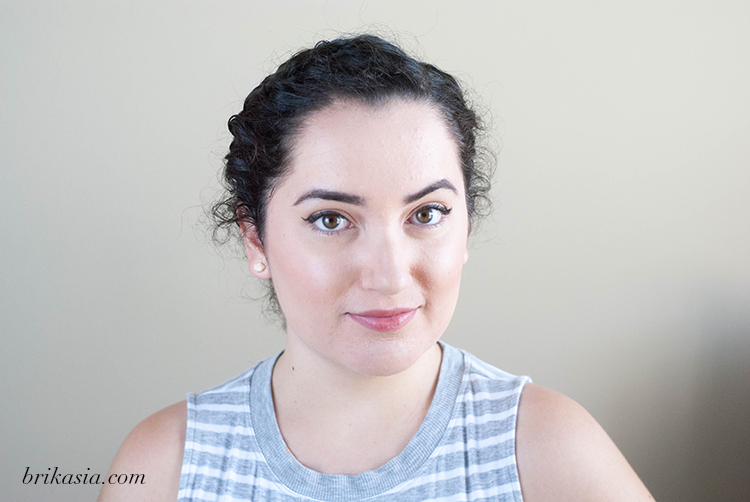 For blush and luminizer, I did the same thing as applying foundation. I would apply with the nozzle about 5 inches from my face, and use circular motions. I only used 2 drops of blush, and held the lever back a little less than halfway so the blush didn't look too heavy-handed. 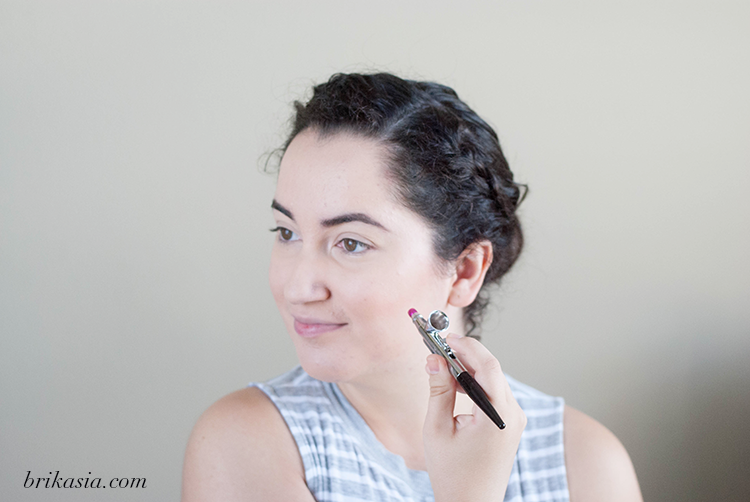 For luminizer, I used just 1 drop for a small yet noticeable glow on the tops of my cheekbones. With all of that being said, how did it really hold up? Well, I have found that there are some pros and cons to this machine and the airbrush makeup. I'll break it down for you. This makeup stays put ALL. DAY. It says 10 hours, but for me it definitely stayed on a lot longer than that. 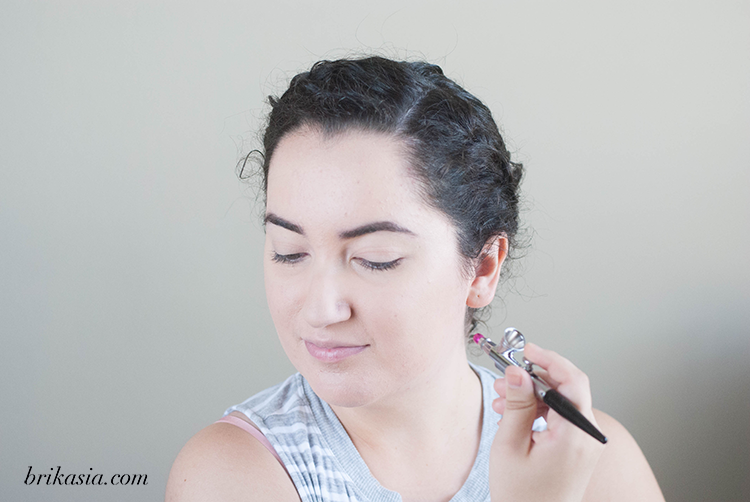 Once you get the hang of it, it's super easy and quick to apply the makeup. It took me 3 tries to really figure out how to use it. This makeup photographs really well. One night I went out with friends, and we took some pictures with flash, and I didn't look like Casper the Friendly Ghost! So that was a win for me. It made my skin feel really nice and soft, and super hydrated. No dry skin for me! It is definitely super hygienic. And clean up is a breeze. 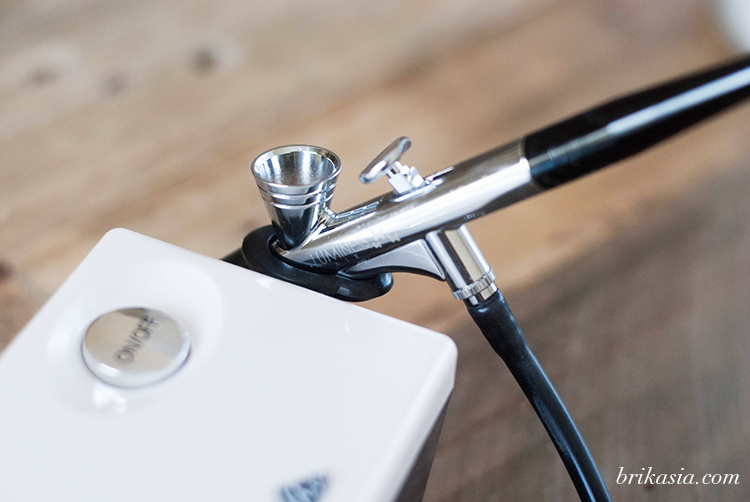 No need to wash brushes or fuss around with things too much. It's very straightforward. The machine itself is small and compact, which makes it super portable and easy to travel with. That's definitely a bonus! I definitely feel like this foundation emphasized my pores. I don't have large pores by any means, and I have never had a foundation emphasize my pores, so this was a first for me. I would recommend using a pore minimizing primer before using this foundation. The undertones in the foundation did not match me at all. It's a small difference that not many people would notice, but as you already know, I'm a makeup artist so I'm acutely aware to these sorts of things. It would be awesome if they created foundations that were totally neutral and then had adjustors so you can adjust the foundation to match your undertones completely. I still had to use concealer to cover up my blemishes. I actually apply my concealer to cover major marks on my face before applying the foundation so I don't have to mess with the foundation too much after the application. Overall, I think this is a really great way to ensure you have nearly flawless makeup that will last all day. Am I convinced enough to use this in my makeup kit? Not quite, but never say never... BUT! I do plan on using this more in the future, and hope that Luminess expands their foundation line to include more undertones, because I am supremely impressed with how long my makeup lasted in near-perfect condition. Best of all? If you use discount code "592417579" on Luminessair.com, you'll get 20% off your purchase! 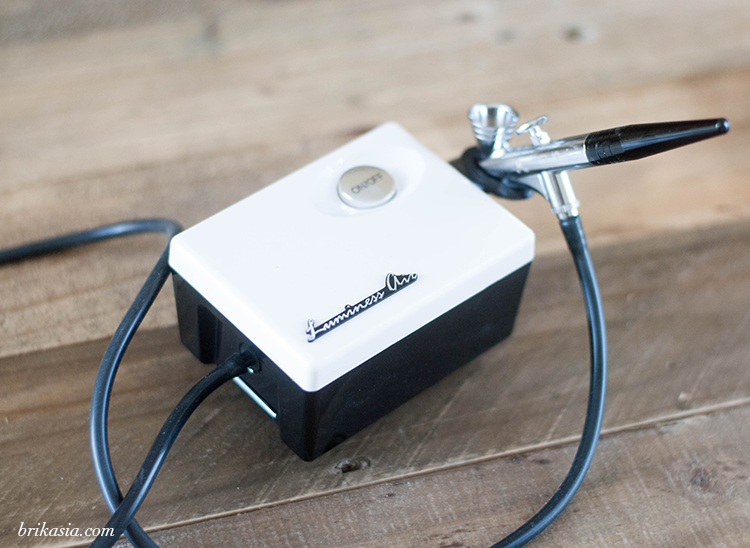 That makes this a pretty affordable airbrush option for those of you interested in airbrushing. And it's incredibly easy to learn- there are also online tutorials you can watch to help you out. Bonus picture of me giggling because airbrushing is EASY, guys! What are your thoughts on airbrushing? Have you ever tried Luminess? This post is sponsored by Luminess Air via Hawke Media. Thanks for supporting the brands that help keep Brikasia creating new and original content for you! You look flawless! I hear wonderful things about this system, I'll have to check it out! I use Dinair Airbrush for all my bridal clients, tanning/tattoo/Stage makeup. Their foundations are beautiful and I use it on almost all my bridal clients. I have been known to prime the skin/treat their skin before using if they need it. I haven't tried Luminess for comparison but I adore my Dinair! Your skin looks absolutely perfect! Fantastic review! I have this machine and I like it, but, I'm not confident about applying the foundation. I could never do the eyeshadow or blush as it was a total disaster for me. 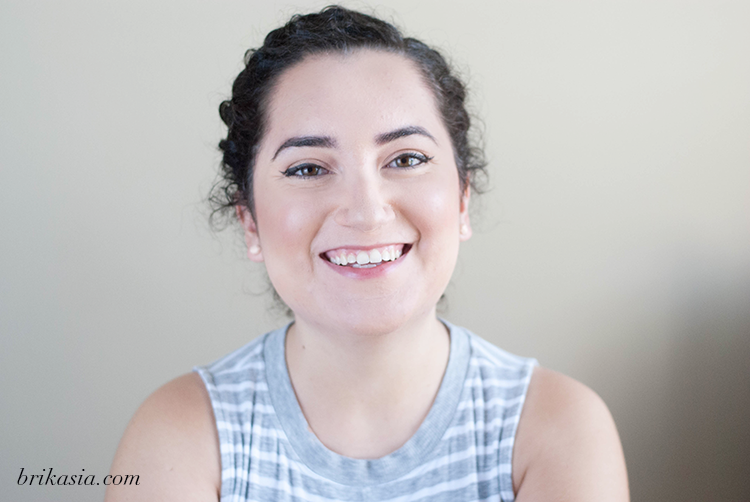 The colors I got with my Luminess Air machine didn't match me either, but like you I mixed two shades and got a semi-decent match.I really loved how the coverage of the Silk formula foundation. I didn't need any extra concealer, it was fabulous! I'm so sorry I passed this up because I've always been fascinated with airbrushing. My sister has lost jobs too because she doesn't have an airbrush system. I know brides love it and feel like they are getting their money's worth when the artist uses this. I think it looks terrific on you. Only you can see the cons, we see the pros!! 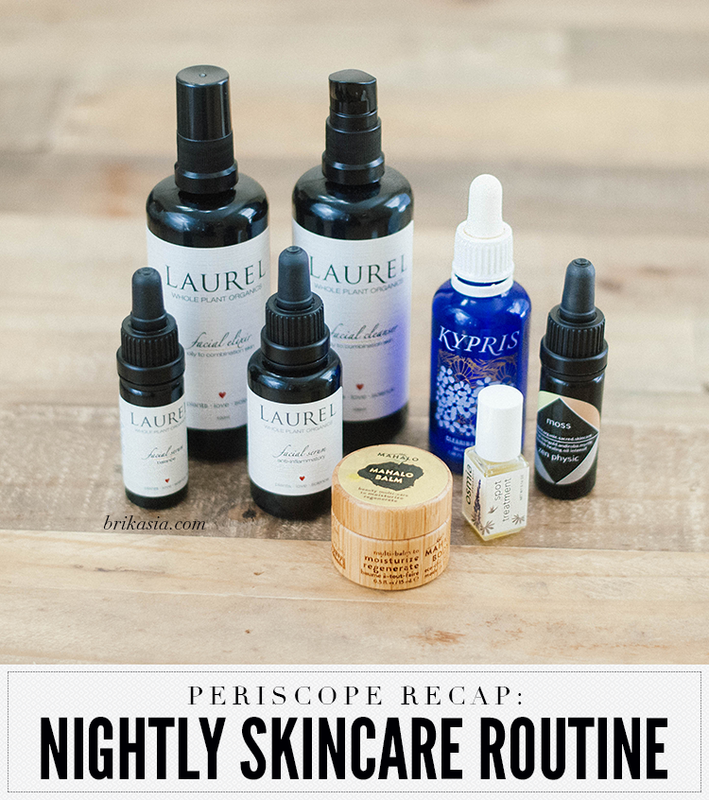 Goodness, your skin looks amazing! I have to try an Airbrush foundation! I was this <->close to trying this. Then last minute I was told they only ship to USA. I had to lecture geography, HI is the 50th state of USA, lol. I can see the coloring quite off but overall your makeup came out good. 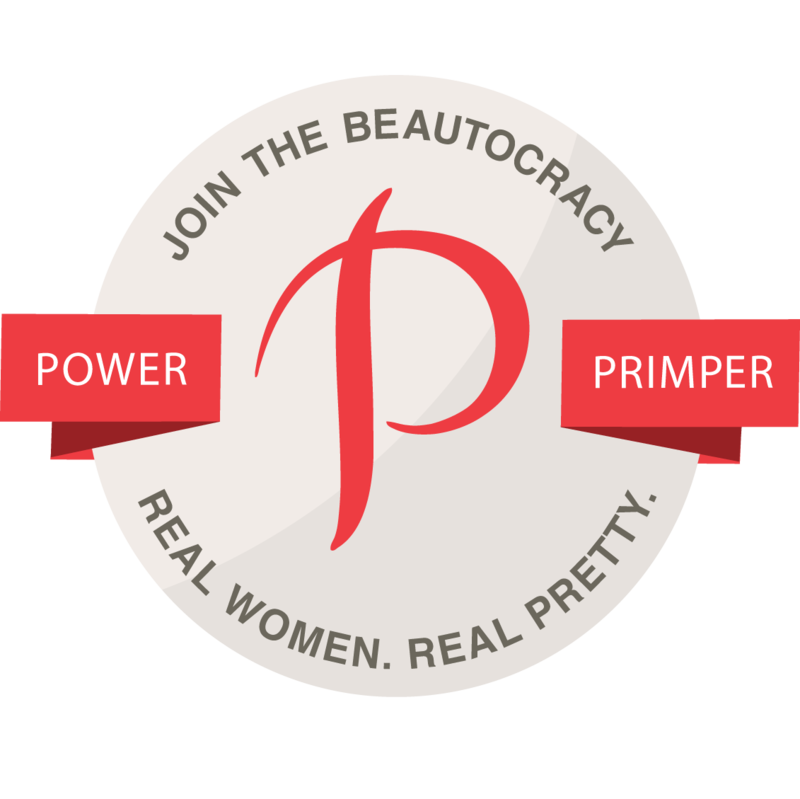 Like you, I had presumed airbrushing was not for me and had scary images of foundation sprayed all over my hair, but you have flawless results and the device seems to be very precise! I need to look into airbrushing. The results look flawless! I'd love to have a MUA apply it on me, but I don't think I'd ever invest in my own machine.